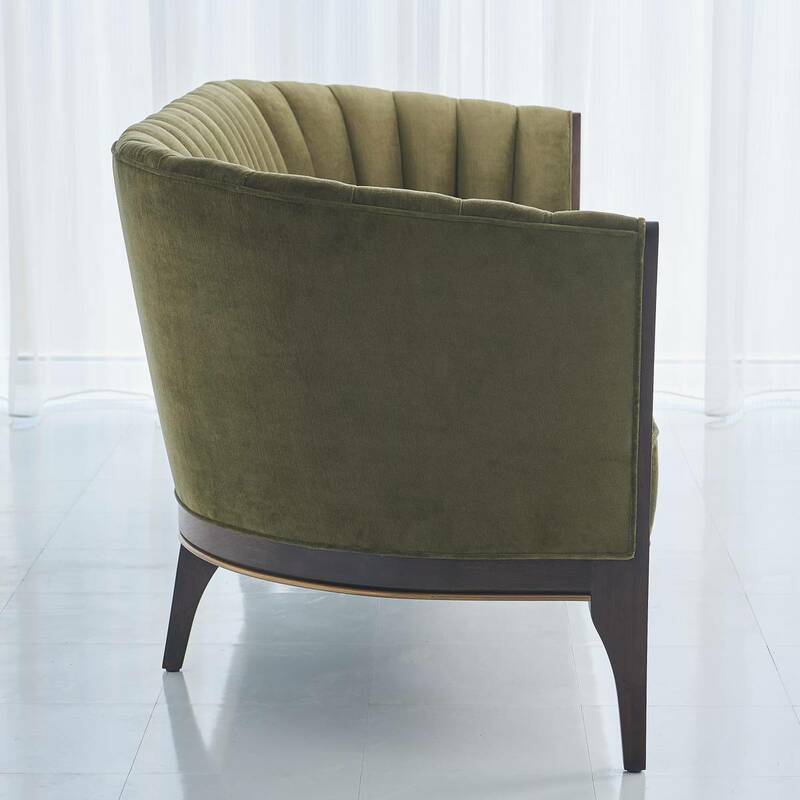 The Global Views Channel Back Sofa has been custom design by George Sellers, and is distinguished by nicely formed deep channels around the back rest of stitched, 100% cotton, moss green velvet. 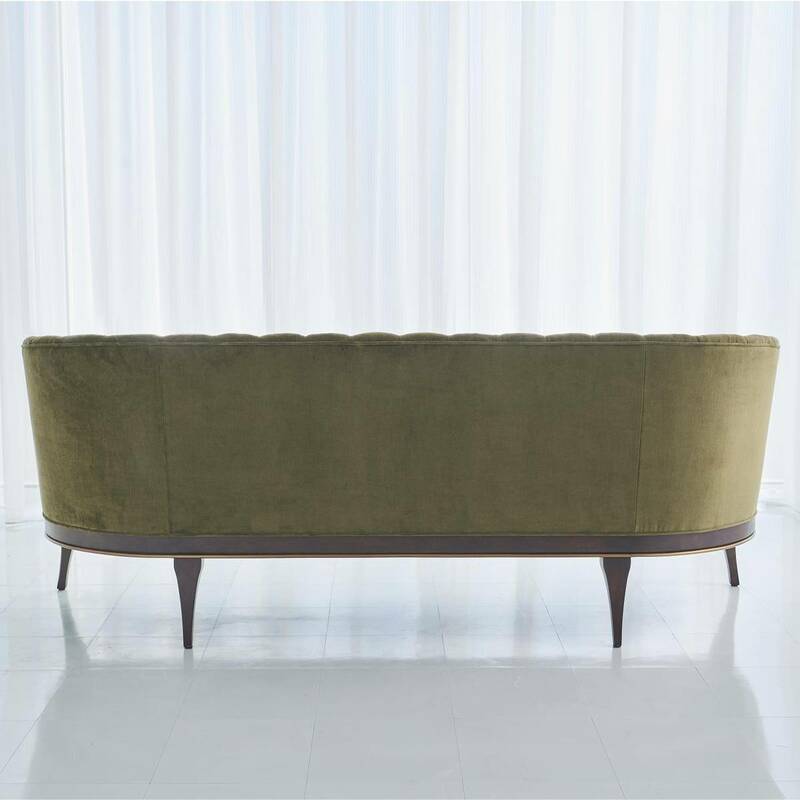 The stunning wooden base is accentuated along the bottom edge with a filet of solid brass that runs around the entire frame of the sofa. The elegant legs and frame have been expertly finished in a dark waxed oiled walnut finish. 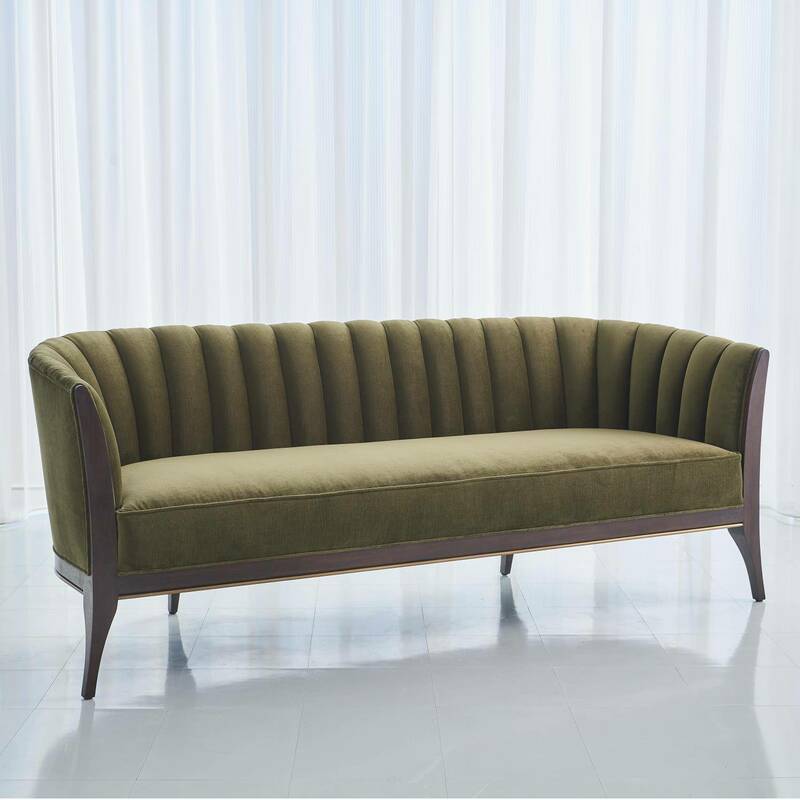 Another distinct characteristic of this sofa is the arching back shape, as elegant and visually beautiful from the front or from the back view.